Revealed 2.0 Complete Home Study Course. from pet owners like you. Thanks for taking the time to watch my videos, read my reports. My dog has a skin allergy on his hind end that I just can’t seem to get rid of. Any suggestions would be very much appreciated. 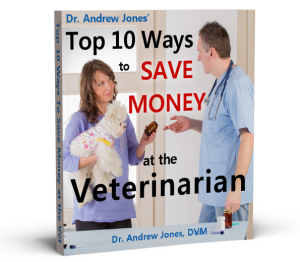 There are common sense things you talk about in your teachings on treating your pets at home. As a life time dog owner, and a parent, I have found that there are a lot of treatments that used on a child, can also be used for a pup. For instance the rice for diarreah, as a baby, if one has this you give it rice water…..baby aspirin for aches and pains, etc. Knowing these things in advance and through my own experiences with pups, validates for me that you do in fact know what you are talking about. That’s saying a lot today when there are so many scammers dreaming up new ways to make/take a buck. Thank you for sharing. I WAYCHED THE VIDEOS YESTERDAY AND TODAY AND MY COMMENT IS THIS. HOW WILL I KNOW TO TREAT MY PET AT HOME OR BRING HIM TO THE VET. WELL I WONT KNOW TILL YOU HAVE DECIDED THAT I HAVE WON THE COMPETION AND SEND ME THE HOME COURSE. how often would you give the herbal tonic with flaxseed, nettle, dandelion and alfalfa- and are there any dietary restrictions you should consider-IE pancreatitis prone dogs? Interesting and new approach to participatory animal health care. I love pets, rescue them and foster care them while they await adoption. Your information will be very valuable to me.